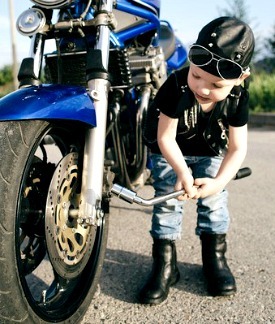 They make riding, operating or maintaining your motorcycle easier, safer and more fun. ...and many other unique tasks. One of the neat things about riding motorcycles is that other riders who've had the same problems as you have solved them with just the right products. Motorcycle gear and accessory technology has advanced so much that riding safe and comfortable and managing problems on the road has become so much easier than it was when I started riding. Riders today can benefit from so much good stuff on the market...products that zero in on mechanical- and comfort-related issues. For example, I was very happy to discover Dynaplug products that have come in handy a number of times when I've had to fix punctures in my motorcycle tires while traveling. Also, the Battery Tender line of products has helped me to easily and reliably maintain the power in my motorcycles' batteries -- especially during long periods between rides. And on a number of occasions, rather than digging into my toolkit under my seat, I've reached for my Leatherman New Wave Multi-tool to handle minor repairs while on the road. It's nice to find a special tool or widget that solves your problem. When you find a product that solves your particular problem, it usually results in an "aha" moment. That's when you realize it is exactly what you need and would like to own. I'll direct you to products that have solved some of my motorcycle riding problems. I'll continually look for new, innovative motorcycle tools and goodies that can make your ride more fun and trouble free. Got A Great Motorcycle Gadget or Goodie? Which motorcycle gadget or goodie works great for you and your motorcycle? You know...something neat that really gets the job done. Perhaps you use a unique multi-tool, electronic device, map holder, seat cushion, camera or some other piece of equipment you always have with you when you ride. 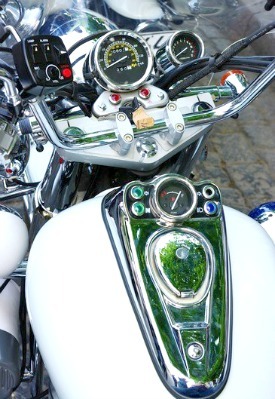 Most motorcycle riders have at least one gadget or goodie they take along -- I know I do. Something they can depend on. Tell us about your most outstanding motorcycle gadget or goodie and let us know why you'd recommend it to other riders. Entering your recommendation for a neat motorcycle gadget or goodie is easy -- just tell us here the same way you would if we were talking at the cycle shop. Give us an example of how this item works great for you and/or why you keep it with you or on your bike. Your words will appear on a page within this website the same way you enter them here. TIP: Because most people only scan Web pages, please include your key info in your first sentences. Click here to see the rest of the form and to complete your recommendation.